Environmental stewardship means a lot to me and I aim to nurture gardens in a way that fosters diverse ecosystems, rich soils, beautiful plants. As a bonus, working with nature encourages a highly functional garden system that needs less inputs like weeding, watering and fertilizers. Having worked in horticulture since 2002, it is a passion that for me continues to grow. I delight in creating gardens, food, medicine and art from the plants around me and feel blessed to call the plant world my workplace. Along my path I have worked in nursery greenhouse production in Niagara on the Lake; urban gardening in Montreal; organic fruit, vegetable and flower farming all around BC, and estate/residential gardening in Vancouver. As well as countless hours of personal study, I have a Horticultural Technician Certificate from the CLNA and became a SOUL Organic Master Gardener in 2012. I have studied herbalism with Don Ollsin, apprenticed with the Kootenay School of Herbal Medicine, and volunteer with the Nelson Youth Centre Grub and Shrub Club. I also periodically host workshops on wild plant foods and medicines. to work using methods I felt fully aligned with. The bicycle-powered business began in Vancouver, where I cycled to clients' homes towing a custom trailer packed with the day's (hand-powered) equipment. In 2016 we moved to Nelson, BC, and although the trailer stayed behind and I now travel with four motorized wheels, I still bring my hand-powered tools and ecological understanding. I look forward to helping you connect with your own pocket of nature, and realize your garden sanctuary vision. 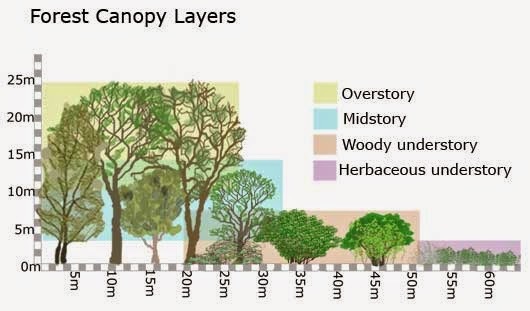 In a forest, the understory is the lower layer of plant life (the canopy/overstory being the higher layer). We spend most of our time in this understory layer, tending everything from tiny-leaved ground covers to small trees. And...gardens are full of stories! The cycle of the seasons, changes as the garden matures, plus little gems only discovered when you spend real time playing and working in the garden... neon orange Flicker and dark blue Stellar Jay feathers, preserved slugs, miniature hellebore seedling forests, hidden wasp and bushtit nests, a tenacious bluebell growing through a discarded and long buried cupboard fixture.... these "under-stories" speak to me, telling tales and inspiring me to keep looking and listening.